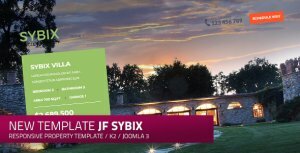 Due to the surprising and great positive feedback for the last template jf Couda, which has been released in april 2016, we were so motivated that we immediately started planning and development of a new template that we now want to present with great pleasure to you! We are happy and excited to release this new free e-commerce Joomla template, jf krom, as a completely free, open-source download for the community to enjoy! As already mentioned, this template is a Joomla! e-commerce template, to be more precise it is the first joomfreak template which can be used together with the great and successful Joomla! e-commerce solution "Virtuemart".